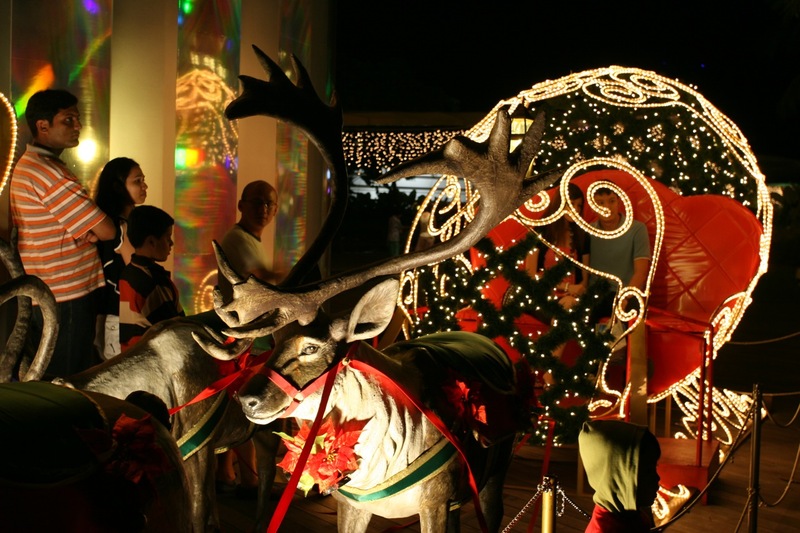 For the past few years, I would always take time off during the month of December to go around Singapore and take photos of the Christmas Trees and lighting around Singapore. However, this year 2008, it was a difficult last quarter 2008 and taking photos of the Christmas lights and trees went off my radar. Today, on Christmas Day itself, I decided to go out and take my 1st Christmas Tree shoot for December 2008, with my friends, Dave Koh, Joel Leong and Dewei at Vivo City. 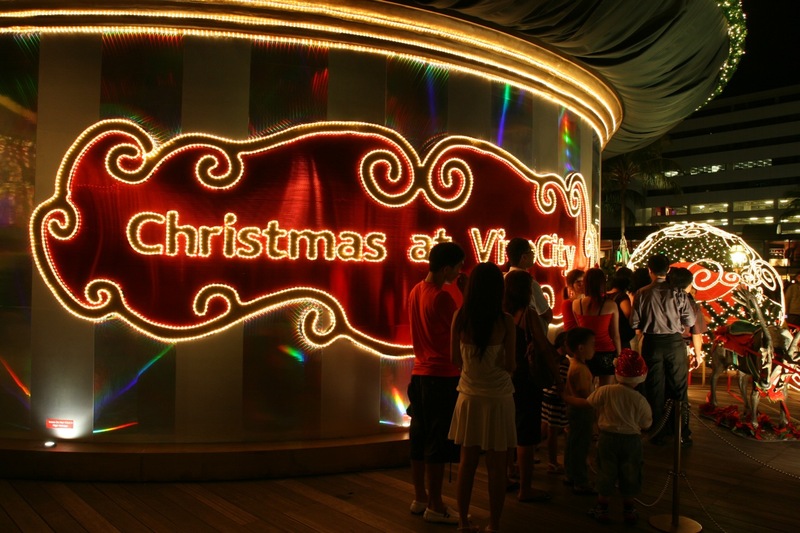 Do check out the difference between the Vivo City Christmas Tree in 2008 and 2007. 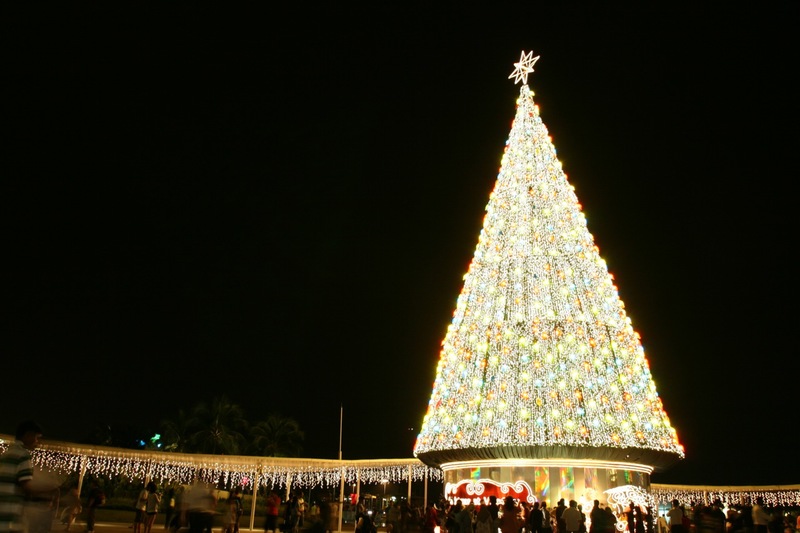 The Vivo City Christmas Tree is still very popular and when we were there, many people were crowding around the Christmas Tree, capturing a piece of its beauty, soaking in the festive holiday season. Merry Christmas & Have a Fun Festive Holidays !! What a colorful night scene! Festivals become more important during the hard time. We need happiness much more than the better days. Hope you a happy happy new year! It was very beautiful with the Christmas Tree lights, festivals would gain a bigger significance in the times ahead, giving them blessings and happiness. What lovely, dramatic Christmas shots. You have a great camera eye!!! Thanks for your well wishes ! Do drop by often !